Once again I’d like to thank everyone who made it down to McCann’s Pub and Grill for the fight. Just a reminder McCann’s is a proud sponsor of Iaquinta as well. I know this was different being a Saturday afternoon fight, and I thought it was great that we we’re still able to have such an awesome turnout. I hope everyone who came down enjoyed themselves. It always my pleasure to put it together. 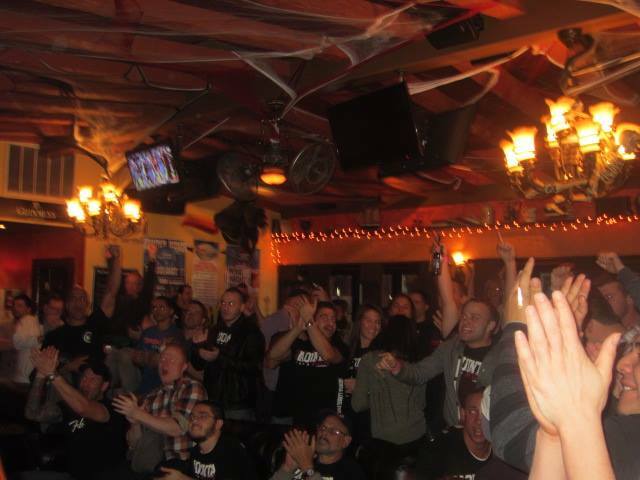 If it was your first time there remember McCann’s is the number one spot in town to watch all UFC Events. Here’s a few pictures from Saturday afternoon. See you all back there soon.